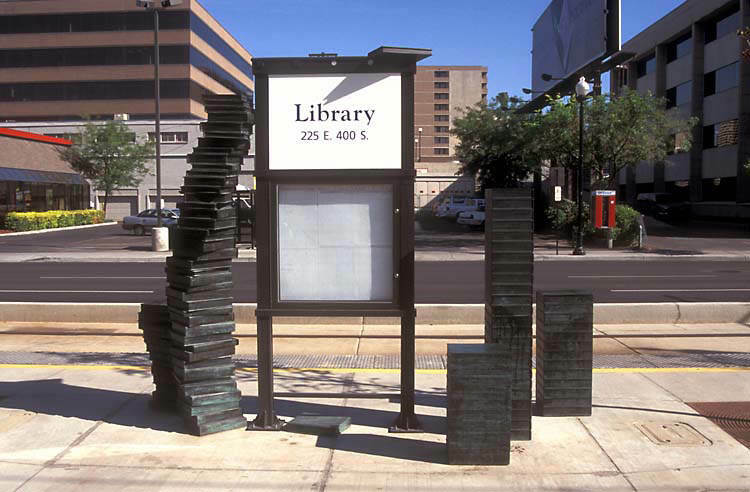 Working with the richness of the written word and balancing the concepts of order and chaos results in a number of elements at the Library Station. Stacks of oversized cast bronze books are placed on the platform, with particular attention paid to their titles. The viewer is left to determine why each stack contains the titles it does. The book stacks were first modeled in wax, then cast in bronze, and finally colored with a chemical patina. Etched into the windscreen glass are the images of library shelves bearing books, organized by their subject area. 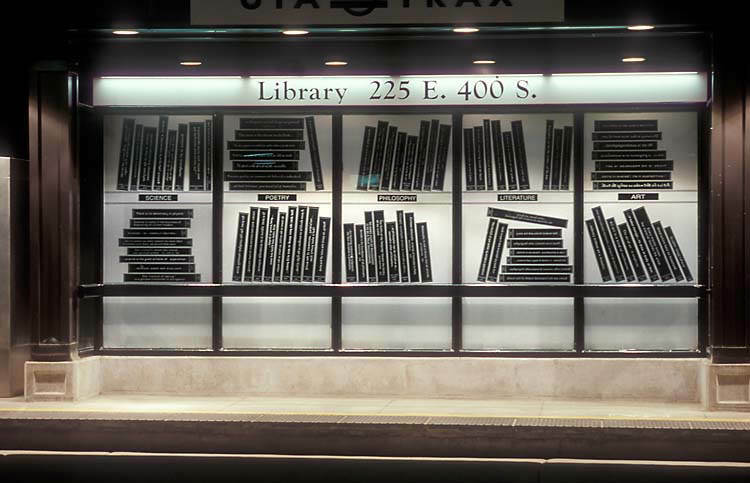 The books are marked with quotes along their spines, rather than book titles, providing some thought-provoking reading material for TRAX passengers. © Copyright Salt Lake City Arts Council 2014, All Rights Reserved.